Now, I don’t mean copying NBA Live’s concept of an Icon Path exactly. Both games should do their own thing to a certain extent, and there are a few issues with NBA Live’s approach as well. NBA Live does have the better take on starting ratings though, as your One Player at least starts out with suitable key skills and athletic attributes for their build, compared to a MyPLAYER’s woeful abilities. This means that they’re viable for online play immediately, and levelling up your player is more about taking your skills from competent to brilliant, rather than trying to make a superstar out of a player whose ratings suggest they shouldn’t even be in the league. NBA 2K’s system of expensive attribute upgrades and Cap Breakers mean that every new game brings a massive grind. Even if you pay for a boost (or take advantage of the bonus VC in the more expensive special editions of the game), there’s still a whole lot of tedious grinding on the Road to 99. Conversely, NBA Live’s progression system makes it feasible to run with multiple players and builds. If NBA 2K were to adopt elements of NBA Live’s progression system and pair it with a MyCAREER mode that offers a branching story, they’d have gamers hooked through multiple playthroughs, and no doubt still reap the benefits of VC sales from more impatient virtual hoopsters. In an interview, Rob Jones touched on the idea of featuring separate currencies for player upgrades and cosmetic items in MyCAREER. He concluded that the approach would be too confusing for gamers, but considering that MyTEAM features multiple currencies, I’m not buying that. The real reason is that it helps push microtransactions, and the approach is just too effective in generating recurrent revenue. However, a change to separate currencies would be a welcome act of goodwill after the stunts that 2K has pulled, particularly in NBA 2K18. When they say they regret what they did with haircuts, it’s only because we balked at it. If we didn’t, they wouldn’t be free now. 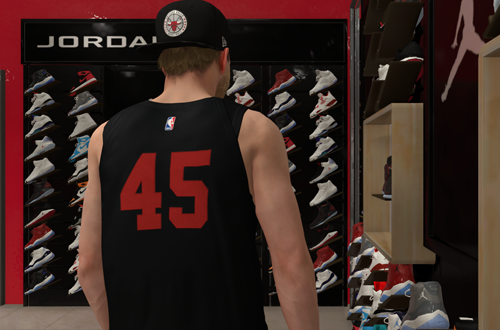 Cosmetic items are ridiculously priced in NBA 2K, especially when you work out the in-universe value of Virtual Currency. Reducing the prices, or better yet allowing us to buy those items with a secondary currency while continuing to use VC to level up, would be a much fairer system. At the very least, allow players to keep the clothes they wear during cutscenes in The Prelude, so that they can be a little less generic in The Playground! As a company, EA’s reputation is far from stellar, but the Reward Points/Skill Points system in NBA Live is actually a great template for goodwill on the virtual hardwood. 2K could easily score some points by adopting the idea. When it comes to content and depth, MyTEAM is easily ahead of Ultimate Team in NBA Live. As I mentioned last week, it has several features that EA should look to borrow for LUT. With that being said, there are some cues that MyTEAM could take from LUT as well, the first being the quality of the packs. 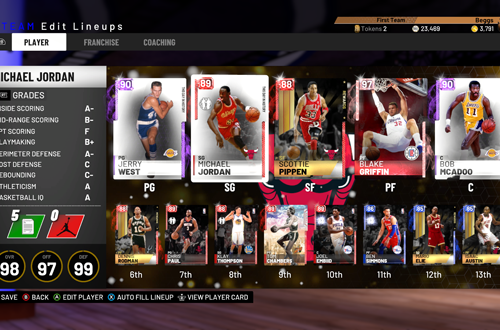 Traditionally, LUT’s packs have been much better than MyTEAM’s, with the former containing multiple players compared to the latter’s one or two. While the concept was dropped in NBA Live 19, previous LUT packs have also been straightforward in their rewards, such as Legend Packs always containing a throwback player, and other quality of content guarantees. 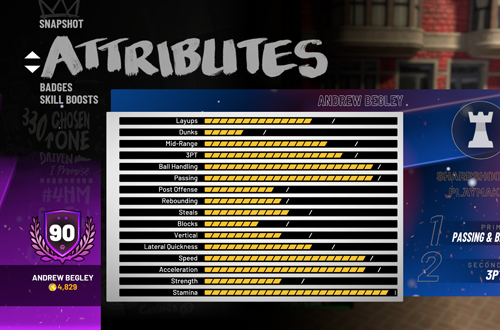 NBA Live 19 introduced two ideas that would increase transparency and enhance the quality of play in MyTEAM: displaying pack odds, and removing contracts. With the card collecting modes under scrutiny as a form of gambling, honesty regarding the likelihood of pulling top tier cards wouldn’t go astray; even real packs of trading cards display the odds of getting featured inserts. Contracts meanwhile are an outdated idea that gets in the way of playing with your favourite cards. They’re another consumable to worry about, and as a drain on your in-game currency, a clear method of pushing microtransactions. LUT has had a fairer approach that I’d like to see in MyTEAM. First of all, we need to get the “Minimum of Three Users” option back into Pro-Am. As I said late last year, I understand the objections to having CPU-controlled players in an online mode, but for many of us – especially those of us outside of the US – it allowed us to actually get some games in. The new restriction has reduced the mode to elite teams, cheesy teams, and elite cheesers. Neither it nor the walk-on option of the Jordan Rec Center offer an experience that is as enjoyable as previous games. If it means adding some extra matchmaking logic so that full squads are only matched up with other full squads, so be it. That way, everyone gets the experience they want. If teams can be filled out with AI players again, I’d suggest taking a page out of NBA Live’s book and making them actual NBA players. 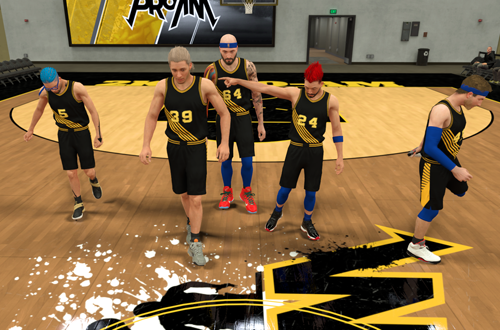 The presence of real pros in Live’s Pro-Am mode is what makes it Pro-Am, after all. To make it fair, the quality of the AI teammate that randomly fills out your squad could match your ranking. The better your team, the better players you can unlock to fill in for other users. That way, lower ranked teams can’t be carried by the CPU, but will still have a competent AI teammate joining in the action when they can’t get five people together. Again, it also fits better with the name of the mode, since real players will be involved in some capacity. I’m surprised that NBA 2K hasn’t borrowed and repurposed this idea from NBA Live yet, especially since 2K does have such great presentation. While it lacks the real branding that NBA Live boasts thanks to EA Sports’ partnership with ESPN, NBA 2K does an excellent job recreating the feel of a television broadcast. 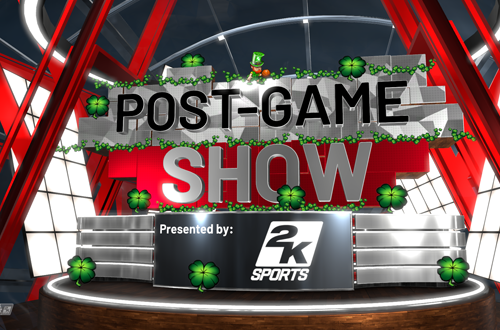 NBA 2K19 goes above and beyond with unique introductions and overlays if a game is being played on a special occasion, such as Thanksgiving, Christmas, New Year’s, and St Patrick’s Day, or if it’s the Playoffs. It really enhances the atmosphere in MyLEAGUE/MyGM and MyCAREER, but special presentation can’t be manually selected in Play Now. This is possible in NBA Live, via the atmosphere option. Introduced in NBA Live 10, the setting allows gamers to choose between regular season and Playoffs presentation, with the Playoffs setting switching to the Conference Finals or NBA Finals depending on the teams you’ve selected. It’s a nifty idea despite the limited options, and could be put to even better use in NBA 2K with all of its special presentation. Once again, I’m surprised that 2K hasn’t implemented this option as a setting that can be toggled for Play Now games, given the depth of its customisation features. Better late than never though, and to that end, I’d love to see it included in NBA 2K20. Are there any ideas from NBA Live that you’d like to see NBA 2K borrow? What else are you hoping for when it comes to NBA 2K20? Have your say in the comments below, and if you do take the discussion to the NLSC Forum, be sure to join in our efforts with the NBA 2K20 Wishlist! That’s all for this week so thanks for checking in, have a great weekend, and please join me again next Friday for another Five.